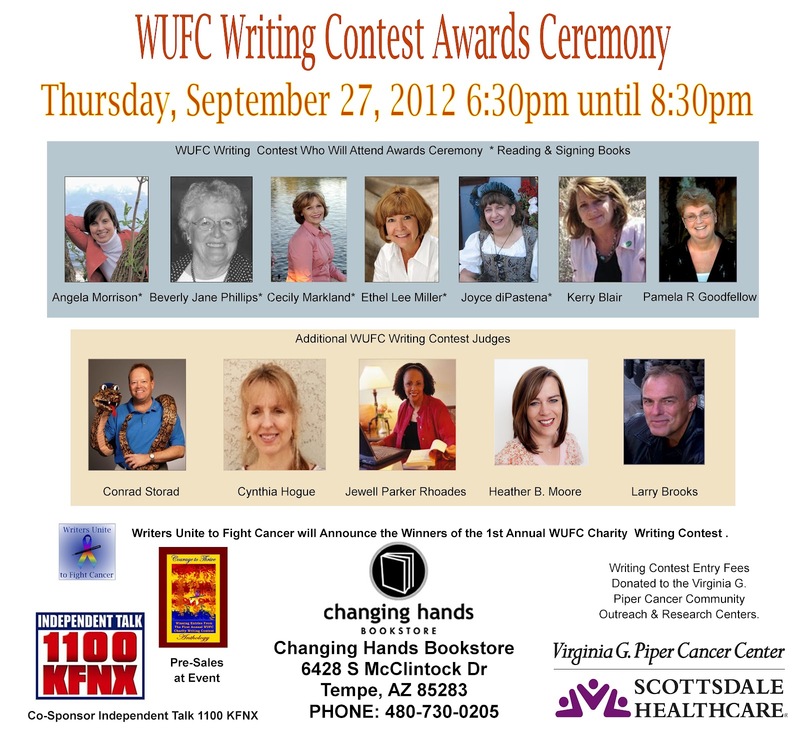 I and several other Phoenix area authors will be reading and signing books at Changing Hands, Thursday, Sept. 27, 6:30-8:30 at Writers Unite to Fight Cancer's awards ceremony for their first writing contest. 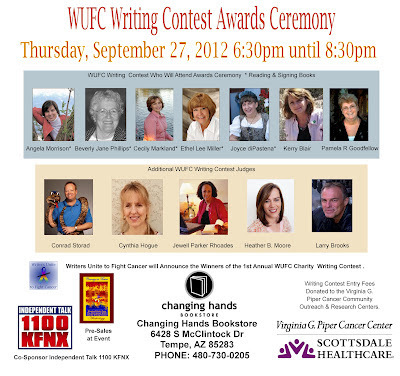 I was honored to judge. You are all invited! Its so much more fun to have friendly faces in the audience. See you there. Free Teleconference and Webinar Starring ME! I'm excited to announce I'm presenting my workshop, "Get them Talking: From Dialogue to Scene," on a free teleconference call, Oct. 3rd, 7 PM EST sponsored by Writing for Children Live. Registrants have free access to the call for 24 hours following it. I'm doing a follow-up free webinar, "Plot Challenged," on October 17th. I love this concept. As an author, I get to share my expertise with fellow writers without leaving my cozy office. And writers get a lecture from the comfort of their own homes.